Whether the issue of the day on Twitter, Facebook, or cable news is our sexuality, political divides, or the perceived conflict between faith and science, today's media pushes each one of us into a frustrating clash between two opposing sides. Polarizing, us-against-them discussions divide us and distract us from thinking clearly and communicating lovingly with others. Scott Sauls, like many of us, is weary of the bickering and is seeking a way of truth and beauty through the conflicts. 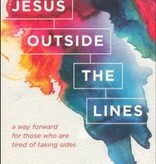 Jesus Outside the Lines presents Jesus as this way. Scott shows us how the words and actions of Jesus reveal a response that does not perpetuate the destructive fray. Jesus offers us a way forward - away from harshness, caricatures and stereotypes. 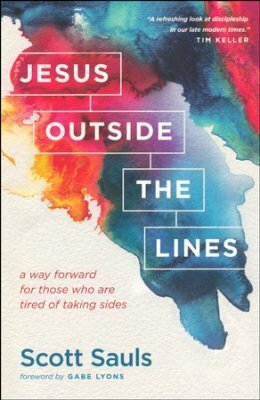 In Jesus Outside the Lines, you will experience a fresh perspective of Jesus, who will not (and should not) fit into the sides.